The reduction of the impacts of anthropogenic pollution activities on water resources in water intake areas (aires d’alimentation de captage - AAC) aims to meet the public health challenges of protecting drinking water resources and, more broadly, to reach the objectives of the Water Framework Directive (WFD) to achieve good status of water bodies. As a result of the difficulties encountered in the protection of water intake areas, the creation of an Intake Resource Center for support to stakeholders was sought for by the ministries in charge of Ecology and Agriculture. 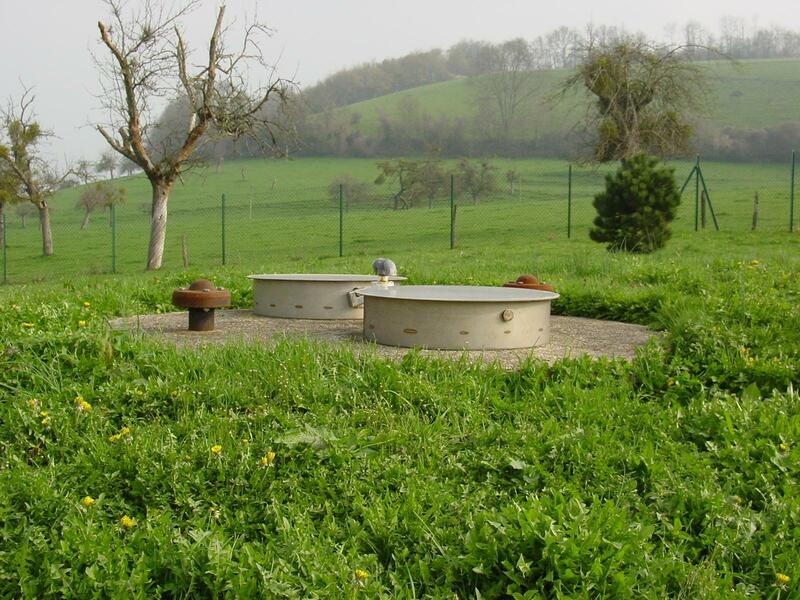 A prefiguration study funded by ONEMA (now French Agency for Biodiversity) was carried out by INRA Transfer, INRA, AScA and Epices between 2013 and 2014. This study provides an overview of the Protection of “Grenelle” intake areas and stakeholders’ expectations for the Intake Resource Center. It aimed to define a framework for the Resource Center and propose a first organizational and operational plan. One of the tools highlighted by this study is the creation of a web platform. The issue of water quality in the water intake areas (AAC) concerns all consumers. Nevertheless, some stakeholders are specifically committed to the surface area defined by the AAC. Thus, the owner authorities (community, water syndicate, etc.) are in charge of launching and following up this protection of the AAC. This process begins with the realization of assessments (definition of the surface area by a hydrogeologist), analysis of pressures (consulting firms, Chamber of Agriculture...). This approach also involves "field stakeholders" because of the direct consequences of setting up an action plan for an area. Due to the use of fertilizers and phytosanitary products, farmers are often the first to be affected by these protection measures. The possible use of phytosanitary products by individuals requires that they also be involved in the protection of AACs (in addition to their role as consumers of the abstracted water). The decentralized services of the State also play an important role (DREAL -Regional Directorate for the Environment, Development and Housing-, DDT -Departmental Directorate for Lands-,...). Similarly, Water Agencies can assist in the implementation of actions on an AAC, in particular through helping to change practices or the development of agricultural processes that are using less input. Finally, a key role is played by "AAC facilitators" to assist in the implementation of the AAC protection approach. They often are the link between the multiple AAC stakeholders. These facilitators sometimes belong to regional networks (CRESEB, Alterre Bourgogne Franche Comté ...) or national networks on the protection of AAC (APCA Captage group for example). IOWater participates in the networking of stakeholders involved in the AAC issue and the provision of tools, technical references for the facilitators of Water Intake Areas. More precisely IOWater participates in the facilitation and setting up of a web platform to help the AAC approaches to succeed. The aires-captages.fr website, which opened in April 2017, supports the action of the Intake Resources Center of the French Agency for Biodiversity (AFB). This place of exchange for the AAC stakeholders allows gathering numerous data (AAC data sheets), numerous feedbacks of experiments, documents, a directory of AAC facilitators, etc. In addition, IOWater is also involved in carrying out studies on the AAC topic. We can mention, for example, the work on capacity building on AAC (with the creation of a training reference) or on the analysis of practices in Europe on the protection of Drinking Water Intake Areas.